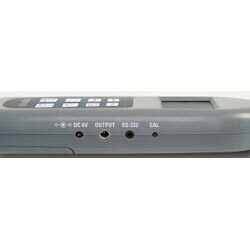 With this LEQ-sound level meter, the environment volume is easily measured in decibel. This sound level meter is able to display the difference between normal sounds and excessive noise disturbance in the environment, mechanics and industry. This device disposes of a RS-232 interface and you will receive a proper interface cable within the serial delivery content of the sonar as well. Our devices are used by owners of restaurants, pubs or clubs to control the acoustic level inside the establishment. This will ensure that residents are not affected by the prevailing background noise. Potential noise disturbances are often the cause of discord and can be avoided by the simple use of the sound level meter. The sound level meter SU 130 has multiple functions. Thus, you can choose between the measuring functions Lp, Leq and Ln. In addition, diverse methods of assessment can be adjusted. Thereby, the sound level meter features for example the possibility to measure the way the sound will be heard by the human ear. 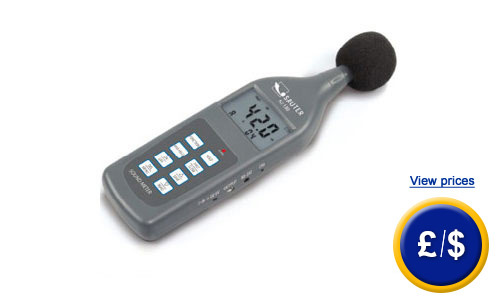 With a measuring range of 30 to 130 decibel, this sound level meter covers a large and important range of the sound. The mobility is ensured by the fact that this sound level meter is a battery-operated device which can be easily carried and which can make location-independent measurements. Additional to this sound level meter, you can order a special software, which is tailored to the product. This software helps to transfer the executed measurements to the PC and to interpret and store them there. If you have further questions concerning the sound level meter, please take a look at the following technical data or use our hotline: UK customers +44(0) 23 809 870 30 / US customers +1-410-387-7703. There you will also find further information about the LEQ-function of the sound level meter. Our technicians and engineers will be pleased to inform you regarding the sound level meter or any other product in terms of regulation and control or scales and balances by PCE Instruments. 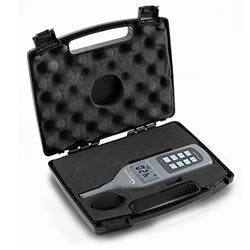 Under the following link, you will find one technically equal sonar, however without automatic LEQ-calculation: Sound level meter PCE-322A.